● 15 Year Tank Warranty. ● Safe For Drinking Water. ● Guaranteed Strength. ● Unique Flexible Technology. ● UV Stabilised Polyethylene. ● Tank Calibrations On Side Of Tank. ● Large Tank Opening. ● Sure-Fit Tank Mounting System. ● Easy-Fill No Spill Containment Lip. ● Extra Thick Construction With Impact Resistant Qualities. ● Non Rusting Poly Tanks. 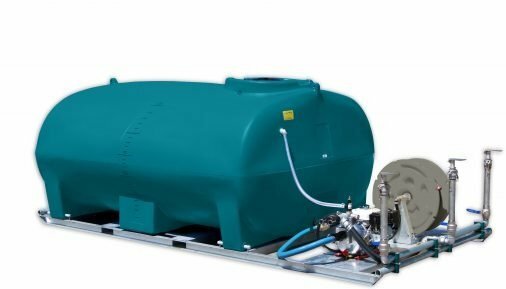 Suitable for Drinking water, Liquid fertiliser transport, Agricultural chemicals transport & mixing, Dust suppression & spraying units and much more. Please contact us for more details. ● 15 Year Tank Warranty. ● Safe For Drinking Water. ● Galvanised Steel Frame. ● UV Stabilised Polyethylene Tank. ● Tank Calibrations On Side Of Tank. ● Honda Motor with 490LPM Pump. ● 36 Metre Hose Reel. ● Ball Baffles System & Deflector Spray Kits Available (not included). – Free Delivery is available on our Rapid Spray portable water tanks to many locations. Click Here or contact us to find out if you are eligible for free delivery. – Sales Inquires; Tel- 0497051143 . Between the hours of 08.30 am – 8.00 pm Monday – Friday & 08.30 am – 5.00 pm Saturday & Sunday. The Rapid Spray® Portable Water Tanks & Chemical Spray Tanks range are Australian made. They are the toughest poly portable water tanks in Australia. They are built for the harsh Australian conditions and come with a 15 year manufacturers warranty. DISCLAIMER: Tank dimensions, tank weights and tank colour may vary slightly due to manufacturing process.